At least 17 people have been killed and many more injured in the United States after a powerful storm system saw tornadoes rip through Arkansas and Oklahoma. A dozen or more twisters tore through central and southern parts of the country, decimating buildings, overturning trucks and bringing down trees and power lines. National Guard troops have been mobilised in the worst hit areas and rescue workers have been searching debris for victims, as forecasters warned more twisters were on their way. Tornadoes also hit in Iowa, Kansas, Nebraska, Missouri and Louisiana, causing damage and injuries. President Barack Obama, who is currently in the Philippines, sent his condolences to those affected and pledged any assistance necessary. The Arkansas Department of Emergency Management said a large tornado which formed outside Little Rock killed 16 people as it carved a 30-mile path of destruction through the state. It was the largest of several tornadoes created by a powerful storm system. Another twister which hit the town of Quapaw, Oklahoma, left one person dead and at least six people injured. It then continued into Kansas, destroying up to 70 homes and injuring 25 people in the city of Baxter Springs. In Mayflower, Arkansas, one person was killed and 45 homes were destroyed as a tornado swept through. Firefighters from nearby cities, as well as National Guard troops, were heading to the town to help, with the county sheriff’s office reporting a “mass casualty situation”. Representative Tim Griffin said: “Tonight, I walked around what was only hours earlier a thriving neighbourhood that is now gone. “An entire neighbourhood of 50 or so homes has been destroyed. A number of tornado warnings were issued. Forecasters are only able to give about 13 minutes warning, although more general tornado watches are issued earlier. At least 17 people have died after tornadoes ripped through the southern and central United States. The majority of the victims were in several suburbs of Little Rock in Arkansas. Homes and buildings were destroyed and entire were neighbourhoods were reduced to rubble. A desperate rescue operation is now underway to reach survivors, and local residents have to try and rebuild their lives. Report by Sarah Kerr. At least 17 killed by deadly tornadoes in U.S.
Do not use any information on this site for life or death decisions. All information is intended as supplementary to official sources. Kindly refer to your country�s official weather agency/government website for local warnings, advisories and bulletins. #OKwx #ARwx #Tornadoes #Wx #News/ #PDS #Tornado Watch thro’ 11 pm for parts of far SE #OK & W CEN #AR. AT 45N 169E SEA EAST OF KURILS MOVING NORTHEAST 20 KNOTS. OCCLUDED FRONT FROM 46N 169E TO 47N 174E 45N 176E. WARM FRONT FROM 45N 176E TO 42N 179W 36N 174W. COLD FRONT FROM 45N 176E TO 35N 174E 28N 164E. OF JAPAN YELLOW SEA EAST CHINA SEA NORTHERN PART OF SOUTH CHINA SEA. 45N 176E 42N 180E 30N 180E 30N 167E. LOW 1012 HPA AT 30N 129E EAST SLOWLY. TROPICAL DEPRESSION 1008 HPA AT 10N 136E WEST SLOWLY. LOW PRESSURE AREA 1010 HPA NEAR 03N 166E ALMOST STATIONARY. HIGH 1018 HPA AT 35N 122E EAST SLOWLY. HIGH 1024 HPA AT 37N 147E EAST 15 KT. ALSO SHOWS THE POLEWARD OUTFLOW HAS WEAKENED OVER THE PAST 24 HOURS. CAUSING THE DISPLACEMENT OF THE DEEP CONVECTION FROM THE LLCC. “One of two low-pressure areas (LPAs) moving toward the Philippine territory is expected to develop into a tropical cyclone within 24 to 36 hours. According to the Philippine Atmospheric, Geophysical and Astronomical Services Administration (PAGASA), one of the LPAs was located 220 kilometers (km) east-northeast of Surigao City, while the other one was spotted 1,220 km east of Guiuan, Eastern Samar, as of mid-Sunday. The weather disturbance near Surigao City will bring cloudy skies with moderate to occasional heavy rains and thunderstorms over Eastern Visayas, particularly Eastern and Northern Samar. PAGASA advised residents in these areas of possible flash floods and landslides. It also advised fishermen and seafarers of moderate to occasional rough seas over the Eastern and Central Visayas. Weather forecaster Gladys Saludes said the LPA is not expected to intensify into a tropical depression as it is already near land. Meanwhile, the LPA east of Guiuan, Eastern Samar, which is seen to enter the Philippine area of responsibility (PAR) possibly Sunday evening or early Monday, has a high chance of developing into a tropical depression, Saludes said. Should it enter PAR and intensify into a tropical depression, it will be locally called ‘Ester,’ the fifth tropical cyclone to enter the country’s vicinity this year and the second this month. Based on the latest forecast models, Saludes noted that the weather disturbance could make landfall over Bicol Region or Samar area by Wednesday afternoon or evening. “Rains due to the tropical cyclone may prevail over Eastern Visayas starting Tuesday, and over Bicol Region and Samar including Southern Luzon by Wednesday,” she said. In other parts of the country, the warm and moist air coming from the Pacific Ocean called the easterlies will affect the provinces of Northern Luzon. Issued at 2:50 pm WST Tuesday 22 April 2014. No Tropical Cyclone Advice is current for this system. Tropical Cyclone Jack has weakened below cyclone intensity. Gales may persist in the southwest quadrant of the system due to a strong pressure gradient with a ridge of high pressure to the south. Please refer to the High Seas Warning (IDY21000) issued by Weather Melbourne. There will be no further Forecast Track Maps issued for this system. No further Information Bulletins will be issued. 220900Z POSITION NEAR 18.1S 95.5E. persist in areas to the southwest of the centre. GALE WARNING FOR WESTERN AREA. at 230001UTC and 1001 hPa near 20S096.3E at 230600UTC. Bounded by 23S093E 20S090E 18S091E 18S093E 21S095E 23S099E 24S098E 23S093E. Tobermory RNLI lifeboat returned to its station this morning after a 17 hour, 180 mile rescue mission to assist a stricken cargo ship. Barra Island RNLI lifeboat will be returning to stand by later today (13 April 2013). The Tobermory crew relieved the Barra Island lifeboat last night and stood by the 88 metre cargo ship (G: MV Wilson Gdynia) which is now drifting some 30 miles south west of Tiree in rough weather. Given that the cargo ship is drifting in a north westerly direction and is not in danger of encountering any hazards at present, Stornoway Coastguard stood down the Tobermory lifeboat at daybreak. Having spent more than 14 hours on the ‘shout’ yesterday, Barra Island lifeboat will return to the cargo ship to provide assistance this evening until the arrival of an ocean going tug which is currently en route from Aberdeen and is expected to arrive in the early hours of Monday morning. The cargo ship has eight crew on board. A 88-metre cargo ship with steering problems battling gale force winds and seas of up to ten metres 15 miles west of the Skerryvore light house. Lifeboats from Barra and Tobermory stood by for over 24 hours. Residents have fled villages near Peru’s Ubinas volcano, which this week began spitting out white hot chunks of rock, some as big as 30 centimeters (one foot) in diameter. Domingo Ramos, a scientist from Peru’s mining institute, said the volcano reawakened several days ago. The renewed activity led the government to announce a state of emergency in the Andean region of Moquegua, some 1,200 kilometers (750 miles) south of Lima. The region is home to some 40 volcanoes, most of which, unlike Ubinas, are dormant. Officials plan to distribute food, face masks and goggles to help those upwind of the volcano cope with airborne ash. 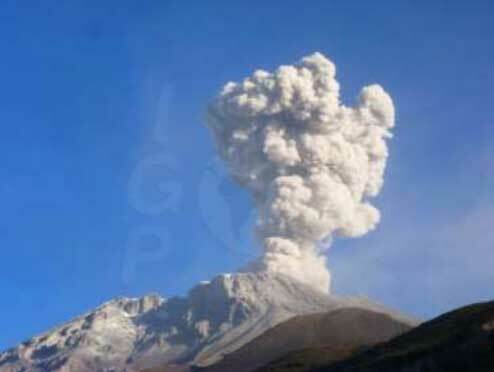 Frequent ash explosions from Ubinas volcano (Peru) seen from the webcam during 11 April 2014. No further technical bulletins are expected to be issued for this system. 140900Z POSITION NEAR 24.0S 155.9E. 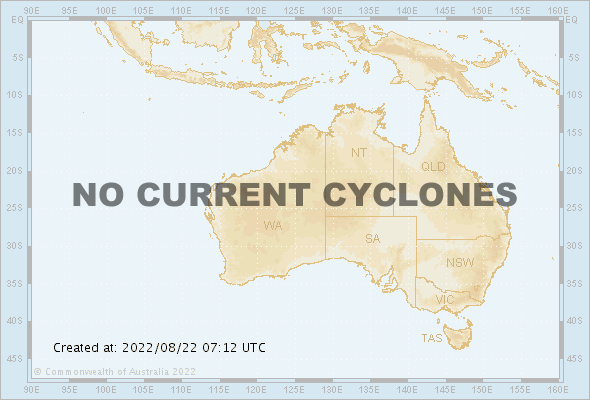 Head over to http://t.co/sP3b0WDqyN to catch up on the community info and social media intel on #TCIta #Cyclone #Ita. Dangerous surf conditions expected #FraserIsland Monday evening & Tuesday. Stay out of water & well away from surf-exposed areas. Heavy rainfall in #SunshineCoast expected to continue for several hrs & may cause flash flooding at Lake MacDonald Dam & Mt Tinbeerwah. Cyclone warning current for coastal areas Bowen-Yeppoon with gusts 90kmh possible. Heavy rainfalls 100-200mm expected Proserpine & Mackay. Bounded by 44S080E 41S110E 41S116E 43S116E 46S112E 50S111E 50S080E 44S080E. 141800UTC. Rough to very rough seas. Moderate to heavy swell. STORM FORCE WIND WARNING FOR WESTERN AND SOUTHEASTERN AREAS. Area A: Vigorous flow associated with a low 986hPa near 46S103E at 141200UTC. 976hPa near 47S118E at 150600UTC and 975hPa near 49S123E at 151200UTC. Area B: Bounded by 50S127E 45S129E 45S133E 50S133E 50S127E. by 150900UTC. Winds decreasing below 34 knots west of cold front. ROW MONDAY. ON THIS TRACK, THE SST DECREASE VERY RAPIDLY AND BECOME VERY INSUFFICIENT. 060300Z POSITION NEAR 26.6S 87.0E. AGREEMENT WITH THE CURRENT FORECAST, LENDING HIGH CONFIDENCE. BEGINNING OF VALIDITY: SUNDAY 06/04/2014 AT 0600 UTC. RE IN THE EASTERN SEMI-CIRCLE. QUADRANT AND UP TO 140 NM IN THE NORTH-EASTERN QUADRANT. TENDING UP TO 230 NM IN THE NORTH-EASTERN QUADRANT AND UP TO 300 NM IN THE SOUTHERN SEMI-CIRCLE. STRONGESTS WINDS EXTENDS FAR IN THE EASTERN SEMI-CIRCLE. TROPICAL DEPRESSION PEIPAH IS MOVING WEST-SOUTHWEST AT 17 MPH. DECREASE IN FORWARD SPEED THROUGH TUESDAY. IS EXPECTED TO REMAIN AT THIS INTENSITY THROUGH TUESDAY NIGHT. SERVICE AT 200 AM EARLY TUESDAY MORNING. 071500Z POSITION NEAR 6.4N 131.7E. “Tropical Storm Peipah (Bagyong Domeng) continues to struggle amidst the moderate wind shear in the region. The system is now leaving the Republic of Palau and moving towards the Philippines. 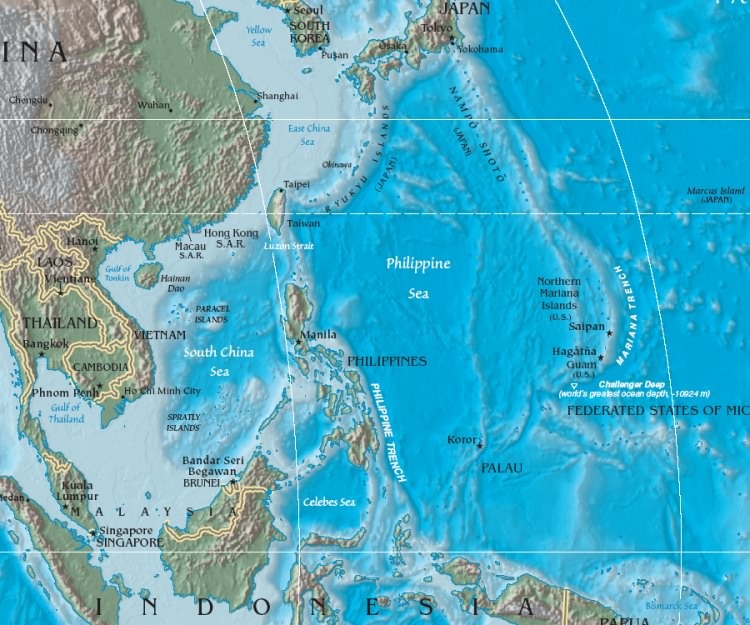 The center was last located approximately 120km west southwest of Koror, Palau or about 870km east of Davao City. Maximum sustained winds remain at 65kph with gusts of up to 93kph according to Japan Meteorological Agency. Peipah is moving westward at 20kph. Latest satellite image shows how poorly organized Peipha is currently. The convection continues to get sheared to the west and the low-level circulation center is almost fully exposed this morning. In fact, the Joint Typhoon Warning Center has downgraded Peipha to a Tropical Depression on their latest warning. Due to the atmospheric conditions in the region, Peipah will likely struggle to intensify in the coming days and may not even become a Typhoon anymore. Tropical Storm Peipah brought over 150mm of rainfall across Palau yesterday. We expect this similar amount, if not more, to fall across the Southern Philippines in the next three days. Light rains may actually start impacting Mindanao tonight and into tomorrow as the system moves from the east. Aside from the rains, the threat of storm surge and strong winds should also be kept in mind especially for residents living along the eastern coastline. AT 06.5N 131.8E SEA EAST OF MINDANAO MOVING WESTSOUTHWEST SLOWLY. The death toll from rainstorms in south China’s Guangdong Province has risen to 15, while four other people remained missing, local authorities said on Wednesday. Four more people were confirmed to have died on Tuesday, the provincial bureau of civil affairs said in a statement. Days of torrential rain have also left at least 14 injured. A boat carrying five people capsized near the coast in Shenzhen, which borders Hong Kong. Two women on board went missing. One woman was found dead on Tuesday. Rescuers are still searching for the other woman. After a brief respite on Tuesday, heavy rain, hailstorms and strong gales returned to batter the province on Wednesday and are forecast for two more days, according to the local meteorological center. Rain and hailstorms from Saturday to Monday affected 68,800 residents in 69 townships in seven cities and forced the relocation of another 3,902 locals by Tuesday, said the provincial bureau of civil affairs. The disasters have toppled 71 houses and severely damaged another 5,719, the bureau said, adding they have also caused direct economic losses of 199 million yuan (32 million U.S. dollars). Local authorities have sent funds, clothes and quilts to residents in flooded areas. At least 21 people have died and four are reported missing after a weekend of heavy rainfall in south China. This is according to China’s Ministry of Civil A. A trough of low pressure is bringing rain and thunderstorms to the coastal areas of Guangdong. Locally, there were rain and thunderstorms in the evening. More than 10 millimetres of rainfall were recorded over the northeastern part of the New Territories. Cloudy with rain and squally thunderstorms. Rain will be heavy at times. Temperatures will range between 19 and 21 degrees. Moderate east to northeasterly winds, fresh at first. Outlook : Becoming bright on Friday and Saturday. There will be thundery showers again early next week. “Swansea Coastguard was first contacted just before 11am this morning to reports that two boats had collided in Cardiff Bay. The Penarth, Barry and Chepstow Coastguard Rescue Teams have been sent to the scene, along with the Penarth and Barry RNLI lifeboats and the RAF search and rescue helicopter from RMB Chivenor. Police, fire and ambulance crews are also in attendance. #Chile MT @juangal69 Mapa con las distintas intensidades del #terremoto en el norte. pic.twitter.com/oc2qhBpnFR /Intensity map of earthquake. “Armed Forces are maintaining order on the streets of Iquique amid fires and prison escapes following tsunami evacuation order for South America’s Pacific coast. A massive earthquake struck off the coast of Northern Chile on Tuesday evening prompting tsunami warnings across the Pacific coast, with evacuation ordered for the entire zone until the early hours of Wednesday morning. The 8.2 magnitude earthquake struck around 55 miles southeast of Cuya, at 8:46 p.m. local time. So far at least 20 aftershocks have been registered in the area with the largest measuring around 5 on the Richter scale. That warning was lifted for areas south of Puerto Chacabuco, in Aysén Region, past midnight Tuesday. By 3 a.m. Wednesday morning, it was also removed between the cities of Antofagasta and Valparaíso, including the islands of San Félix and Juan Fernández archepelago. At time of press it did not include Rapa Nui, or Easter Island. The Interior Ministry has confirmed five deaths in Iquique and surrounding areas and at least three people seriously injured so far. Minister Rodrigo Peñailillo also stated that fires in Iquique and Arica had been brought under control. A powerful earthquake with a preliminary magnitude of 8.2 has struck off the coast of Chile, triggering a tsunami that has already started hitting the coastline. Already a 2 meter high wave was reported along the Chili coast. At this time tsunami warnings remain in effect for much of the western sea boards of South American and Mexico. No warnings have been issued for areas in the western pacific. But if the wave generated is strong enough the image below will show where it would hit followed by an image of when it would hit based on tsunami forecast models. I do want to note though. NO TSUNAMI is expected at this time in the western pacific. NONE! But if it changes we will update you. Best thing to do stay tuned to updates from your official agency and monitor if any changes habe been put in place. Haute- Garonne (31) and Tarn (81). Autan relatively short episode , but requiring special vigilance given gusts expected. The Southerly wind continues to slowly build since last night , gusts are generally of the order of 70 to 80 km / h but reach 97 km / h in Castres -Mazamet at 5am this morning. By late morning , the wind Southerly wind strengthens significantly . In the afternoon , gusts reaching 100 to 110 km / h in Toulouse and plain on the south of the Tarn. Gusts of 110 to 120 km / h then relate Lauragais and Montagne Noire , especially between 13h and 17h , windiest period of the episode. Mitigation is expected in late afternoon and evening gusts should gradually become everywhere below 100 km / h.
* Cuts electricity and telephone can affect the distribution networks for relatively long durations . * Roofs and chimneys may be damaged. * The tree branches may break. Vehicles can be deported. * Road traffic may be disrupted , especially on secondary roads in forest areas . * Some damage can affect the distribution of electricity and telephone . * Limit your movement . Limit your speed in highway driving , especially if you drive a vehicle or hitch sensitive to the effects of wind. * Do not walk in the woods [ and on the coast ] . * In town , be alert to possible falling objects . * Do not work on roofs and touch any electrical son fell to the ground. * Store or attach objects sensitive to the effects of wind or likely to be damaged. * Install essential to generators outdoors groups. Haute-Garonne (31) et Tarn (81). Épisode d’autan relativement bref, mais nécessitant une vigilance particulière compte tenu des rafales prévues. L’Autan continue à lentement se renforcer depuis hier soir, les rafales restent généralement de l’ordre de 70 à 80 km/h mais atteignent 97 km/h à Castres-Mazamet à 5h ce matin. En fin de matinée, le vent d’Autan se renforce nettement. Dans l’après-midi, les rafales atteignent 100 à 110 km/h en plaine toulousaine et sur le sud du Tarn. Des rafales de 110 à 120 km/h concernent alors le Lauragais et la Montagne Noire, notamment entre 13h et 17h, période la plus ventée de l’épisode. L’atténuation est attendue pour la fin d’après-midi, et en soirée les rafales devraient progressivement devenir partout inférieures à 100 km/h. Police issue statement about the continued search for Mrs Catherine PRIDHAM. There is a possibility that she has entered the sea in the area of Niarbyl Bay. We would ask that the members of the public who are in this area report any sightings to the Police or Coastguard. “Sergeant Gavin Callow said : “At this time Cathy has not been found. As previously detailed it does seem likely that she entered the sea in the area of Niarbyl on Sunday morning. Sergeant Callow added; “Emergency rescue services have made searches of the surrounding areas, concentrating on the shoreline and sea. They will continue to do so. Offers of help from the Public have been noted and are very much appreciated but at this time we ask that the organised searches are left to properly trained and equipped personnel. This is because of the challenging nature of some of the coastline in the immediate area.